Happy National Lutheran Schools' Week! The onset of the Reformation paralleled a decline in enrollment in educational institutions across Germany. By the early 1520s, university enrollments were shrinking and many elementary schools were closing. There were numerous reasons for this, including repeated attacks on education from humanists and reformers alike, the dissolution of monastic institutions, reluctance of the authorities to convert former ecclesiastical property into public schools, the Peasant Revolt, and a series of plagues and poor crops. As schools across Germany closed and enrollment declined, the Evangelicals recognized the need for a systematic educational program. Beginning in 1523 when Melanchthon presented his In Praise of Eloquence, there was a steady stream of writings that called for educational reform. In 1524, Luther wrote his tract, To the Councilmen in All Cities in Germany. In 1526, Melanchthon began working on the Saxon Visitation Articles which were released under Luther’s name in 1528. That same year, Bugenhagen produced the Braunschweig Orders. In 1529, Luther produced the Large Catechism and Small Catechism; and in 1530, he wrote A Sermon on Keeping Children in School. The driving force behind this was the conviction that the Evangelical adaptation of a classical education should be available to every child. Luther said that while boys, “especially sons of the poor,” should receive a Latin education, it should not be limited just to those of exceptional ability: “other boys as well ought to study, even those of lesser ability. They ought at least to read, write and understand Latin.” Thus Latin was the preferred language of education for most of the Evangelicals. In sixteenth-century Germany, this made very good sense. Without the ability to read Latin, one was effectively cut off from participating in most of the institutions in society. But there was a more pressing reason behind their insistence for instruction in Latin. The Lutheran liturgy in many places, especially in the cities and larger towns, remained in Latin and would do so until well into the seventeenth and eighteenth centuries. It was the living language of the faith. Furthermore, virtually all of the important theological documents were in Latin, and so without a basic knowledge of Latin one could not fully participate in theological dialogue or in the worship life of the Church. The Evangelicals were not deliberately creating an elitist system of education nor were they attempting to preserve a “dead” language. They recognized that, by learning Latin, students, regardless of their socio-economic background, would be enabled to participate in the institutions of society and thus contribute to the unfolding events of the Reformation. At the same time, the Evangelicals recognized the need for a vernacular education as Bugenhagen so acknowledged in the Braunschweig Orders. In Bugenhagen’s opinion, vernacular schools should be supported so that they could teach the boys “something good out of the Word of God, the Ten Commandments, the Lord’s Prayer, of both Christ-given Sacraments with a brief explanation, and Christian songs.” What is more, Luther’s own translation efforts opened the way for making a vernacular education more feasible and respectable. By translating the Bible it was no longer essential to have knowledge of the ancient languages in order to read such the sacred texts. Many books that were to be used in teaching were in the vernacular. For example, the first musical instruction books written by Martin Agricola between 1528 and 1532 were written not in Latin, but in German. Clearly, the reformers believed that the principles that applied to a Latin classical education could, to some degree, also be applied to a vernacular education. “Jubilee years” had been established in 1300 by Boniface VIII. Once every hundred years pilgrims to the chapel of Peter and Paul in Rome were offered a plenary indulgence. By Luther’s time jubilee years were being celebrated every 25 years and were identified with efforts to raise funds to build St. Peter’s Basilica in Rome. [Erwin L. Lueker, ed. Lutheran Cyclopedia (St. Louis: Concordia, 1975), 432.] Through his use of the term Luther was suggesting to the councilmen that, instead of sending their money to Rome with the hope of earning forgiveness according to papal decree, they should, in response to the Gospel, generously support national educational endeavors, according to divine decree. Luther, To the Councilmen in All Cities in Germany (1524), AE 45, 351. “Letter to Margrave George of Brandenburg” (1529), in Martin Luther, Letters of Spiritual Counsel, trans. Theodore G. Tappert (Philadelphia: Westminster Press, 1955), 326. Luther, Sermon on Keeping Children in School (1530), AE 46, 231. Sehling, ed. Braunschweig Kirchenordnungen, 370. Sehling, ed. Braunschweig Kirchenordnungen, 62. Green, “The Education of Women in the Reformation,” 108. Sehling, ed. Braunschweig Kirchenordnungen, 371. Luther, To the Councilmen in All Cities in Germany (1524), AE 45, 369. Luther, To the Councilmen in All Cities in Germany (1524), AE 45, 371. 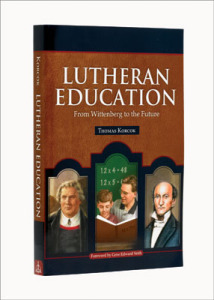 From Lutheran Education: From Wittenberg to the Future, pages 68–72 © 2011 Thomas Korcok, published by Concordia Publishing House. All rights reserved. 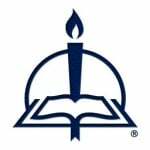 To order Lutheran Education, please contact CPH at 800-325-3040 or visit www.cph.org.